If you’ve ever attended or sat in on one of Santosh’s classes, you know that the manner in which he teaches and explores the topic of probability is not the same manner in which many other math and science classes are taught in. In your introductory calculus course, a general lecture may follow a simple path of the form, “Here is a theorem, here is the proof of the theorem, here is how to use this theorem to solve different kinds of problems”. In a class taught by Santosh, a large portion of each lecture is spent motivating the idea behind the topics that will be discussed during the rest of the lecture. These motivations may include historical expositions, intriguing thought experiments, or personal anecdotes. 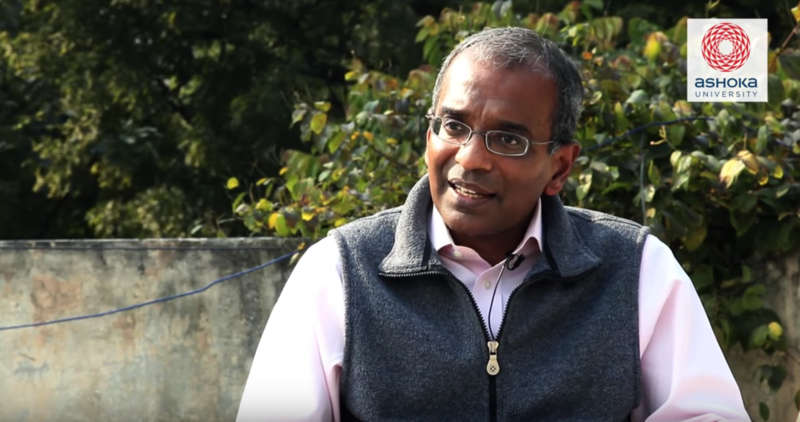 In many cases, Santosh poses questions that directly relate the topic to events that affect our lives every day in both obvious and subtle ways. By the time you actually start diving into the work of trying to find an answer to the question, the importance of the question is clear, and you are fully invested in traveling down the path that the problem may lead you. As Santosh guides you to the solution, the answer to the initial question arrives sort of obvious. The rest of the class is spent discussing the implications of our answer, and you leave feeling like you’ve learned more than just math. While the lucid style of Santosh’s teaching may suggest that his path to becoming a well-known probability researcher and professor was very certain. This is not at all the case. Santosh grew up in Kerala, a state in South India. While neither of his parents received a formal education, they ensured that he was able to attend school. “I was extraordinarily fortunate to be born into a good caste system. My parents weren’t really well off. But I had a great childhood.” Back then, he didn’t spend much of his childhood thinking about math and probability. “I would finish all my homework during school so I could come back and play soccer. I played soccer almost every day.” Regardless of his parents' financial struggles, Santosh remembers being a very happy child. Santosh recalled a particularly sweet memory from his childhood. When it came time for him to attend college, he was admitted to St. Xavier's college. He was asked by a professor at the college to choose one of the following tracks: commerce, arts, or mathematics and science. It’s interesting to think that a fair coin flip may have determined one of two very different paths for Santosh’s life. However, this uncertainty doesn’t bother him. Many of his students have asked him what he would have done if the coin had landed on the tails side. Santosh’s test scores gained him admittance to IIT. After attending and graduating from IIT, Santosh decided to attend Caltech to study physics and math after speaking with his advisor at IIT. “Today, you know, it’s foolish. I was operating largely out of uncertainty. I was just going whichever direction life offered me.” At the end of his Caltech education, he ended up at Penn to conduct research and teach about topics related to probability theory. At Penn, Santosh has focused on a wide range of problems related to probability theory and its applications. These problems range from attempting to answer why our current society is so politically polarized using tools from the theory of spin glasses to trying to figure out how to encode information about a sequence of several Bernoulli trials using one bit of information. One particularly interesting problem Santosh worked on was related to genomic research. Santosh never really felt like he was doing work. From his perspective, he has spent his whole life playing, whether it be playing with a soccer ball or playing with an interesting probability question. This approach to playing has also paid off when teaching his students. As a teacher, Santosh feels that is very gratifying to share the same sense and enthusiasm and excitement he has about probability with his students. Santosh’s himself admits that much of his life's trajectory was governed on grasping whatever uncertain choices life presented to him. As college students, we spend a lot of time trying to figure out what we really want to do. We worry about the fact that walking through an open door may inherently close another door. In regards to these concerns, Santosh provides the following words of wisdom. Santosh argues that you should maximize the amount of information you have to work with so you can make the best possible decision. However, he also argues that at the end of the day, it doesn’t really matter. 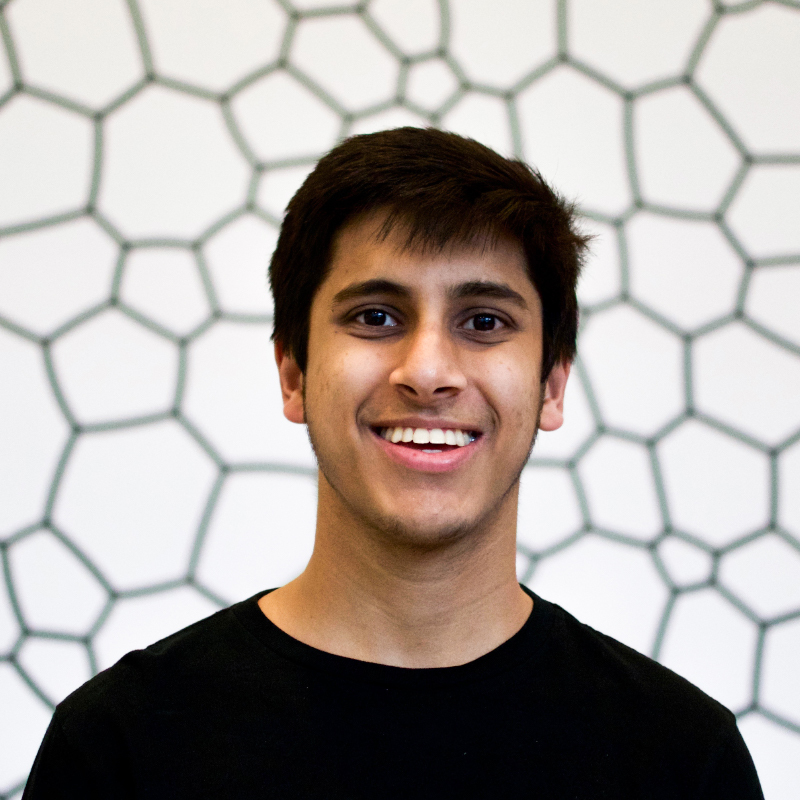 Sanjit is a sophomore studying Computer Science and is a writer for PTR. He loves producing, listening, and talking about music. His life goal is to teach a monkey how to play "Stairway to Heaven" on guitar.